As part of the Year 1 topic, the children had a visit from PC Lee, a parent in the school. 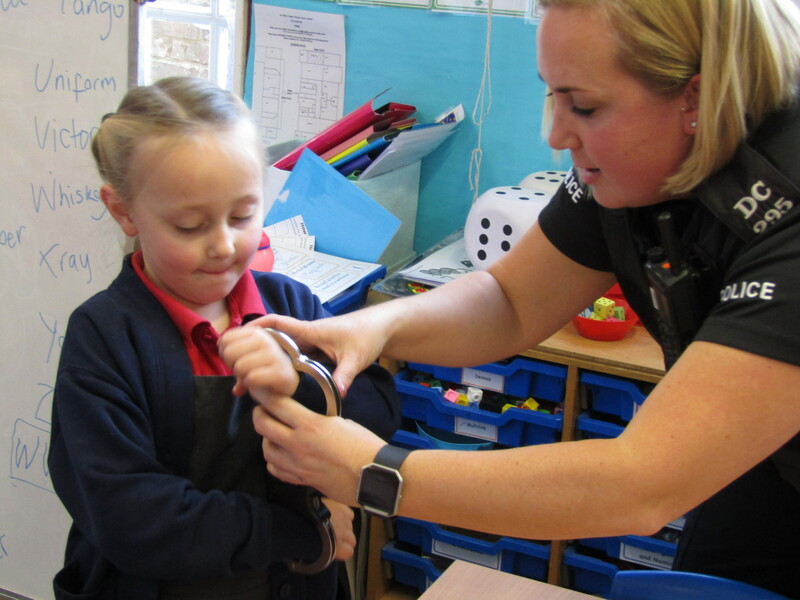 She spoke to the children about what the job involves and she also showed the children how to use the handcuffs that Police Officers wear. Thank you PC Lee for giving up your time to come and speak to the children. This entry was posted in Uncategorized by St Philips School. Bookmark the permalink.